Is there anything more appropriate to discover the city which rises on the water than doing a tour on the Grand Canal, the main canal of Venice? A tour of the Grand Canal will allow you to discover the whole town, because this waterway connects the railway station on the West to Saint Mark’s basin on the East. Navigating between these two strategical points of Venice will provide you with an amazing view on the luxurious palaces of Grand Canal, each of them a treasure of art and history. Flowing right in the heart of the town, the Gran Canal divides it in two parts which are connected by three bridges: Rialto bridge, the Accademia bridge and the Scalzi bridge are thus all part of a Grand Canal tour. Which best way to explore the city? 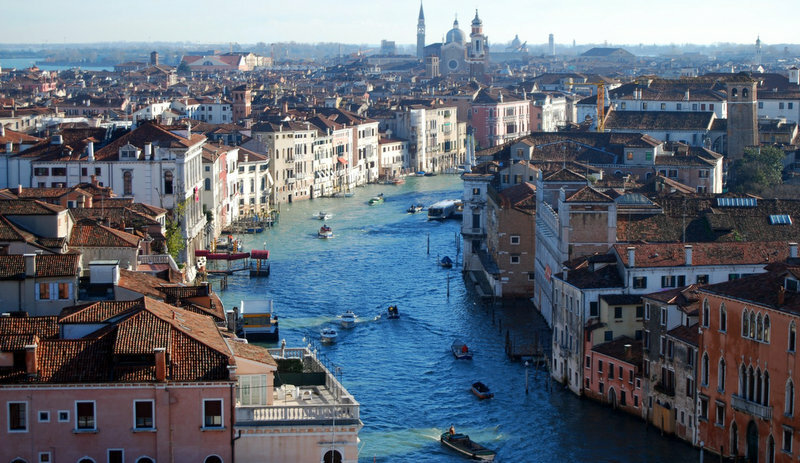 Get to know Venice from the water!